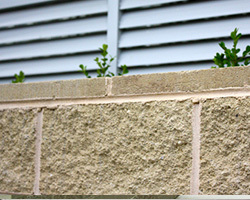 Split Face blocks give buildings an attractive textured stone-like finish which is both affordable and highly durable. 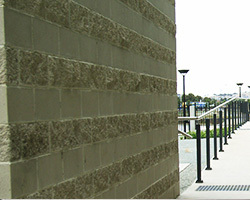 Split Face blocks are a highly flexible product that suits residential and commercial buildings, and landscape retaining walls. Whether internal or external, load bearing or non loadbearing Split Face blocks of different sizes from 90mm to 190m are available. Retaining wall Split Face blocks are also available with cut-outs for horizontal reinforcement rods. These blocks are reinforced and core filled on-site to engineer’s specifications. All our Split Faced Masonry is manufactured with a water repellent admixture to add to its quality.